Email lists are one of a company’s greatest assets, but creating a healthy email list can be difficult. You may find your list inundated with spam emails, uninterested subscribers, and customers who are ready to send your content to their SPAM folder at a moment’s notice. Today, we are here to solve one of the biggest email list woes: creating a healthy list. A healthy email list begins with a stellar lead magnet that qualifies your leads. Lead magnets are essential to your email list because most people don’t give away their email address for free nowadays. An email inbox is a sacred place, and you have to prove to potential subscribers that you belong there. Coupons: Giving a certain percentage off your order (usually 10-30%) in exchange for an email address. eBooks: An eBook that’s around 20-50 pages of valuable, actionable content. Email Courses: An email course that’s 5-7 days worth of content delivered automatically every day. Checklist/Cheatsheet: A page long easy to reference checklist that people can print off and use. Workbook: A 5-10 page set of worksheets that your customer can use to improve themselves or their lives. 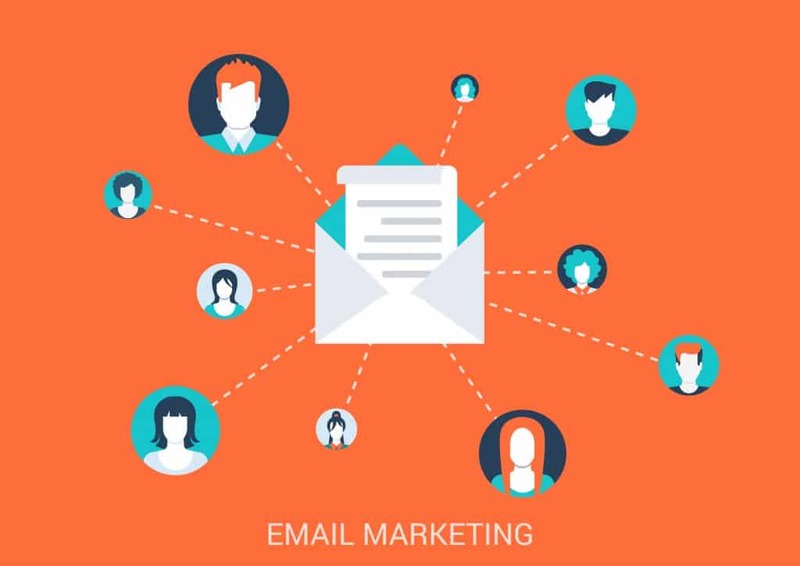 Lead magnets create a healthy email list because they fill your mailing list with people who are interested in the topics you talk about on your website. Any lead magnet you create should cater to your site and the issues you talk about. You may be wondering: what is a double opt-in? A double opt-in allows you to get confirmation before someone is officially added to your email list. This is a process of double confirming interest, which is usually done by clicking a link in an email, allows you to weed out spam. Double opt-ins are extremely crucial when it comes to creating a healthy email list. You never want to send emails out to just anyone. It’s easy for spammers to sign up for your emails using dozens of fake or misleading emails. When you are paying per subscriber, this can add up quickly. With a double opt-in, you can stop these email addresses from counting against you until they have confirmed their humanity. Double opt-ins are also vital because it creates another step that people have to take. It’s harder for them to claim you sent spam later because they will remember all the steps they took to sign up for your email address. Your subscribers didn’t just see your email list and enter their email; they also went to their inbox to confirm they wanted to hear from you. When you are starting your email list, sending out an email to one person can seem unnecessary. To create a healthy email list, though, everyone should be aware of you and why they signed up for your email list. People can be quick to forget, and you never want someone to send your email to their SPAM folder because they forgot they signed up for your email list. As soon as you get your first subscriber, you should be sending emails out on a regular basis. You should shoot for once a week to keep your name fresh in your customer’s minds. If a ton of people do not see your earlier emails, you can turn that content into a blog post so you can get more eyes on the content you are creating. You may also want to share your first few email blasts on social media. Sharing your first email blasts gives people a reason to subscribe after they see how informative your emails are. There are so many ways to repurpose and extend the reach of your first few emails. You should never feel like you have to wait until you have a certain number of subscribers to send out your first email. Send each email out like you have a vast audience, and you will begin to attract more people later on. Last, but not least, to create a healthy email list, you need to clean out your list occasionally. Over time you may realize that people aren’t as active on your list, and that costs you money. If you have a paid account, you are paying for each subscriber on your list. Therefore, you want to clean out any email that bounces and any inactive subscribers. As soon as you get an email that bounces, clean it out, so you don’t send another email their way. Bounces can have a negative impact on your mailing list, so you only want to send emails to emails that get delivered. Every few months, you should look at your email list to gauge who hasn’t been opening your emails. Create a segment with just those users. Example: you may want to create a segment of people who haven’t opened your email in 3 months or longer. It can still be difficult to tell who has opened your email. Even in 2018, this technology is still behind. Before you get rid of those people who haven’t engaged with your emails, give them one last chance to stay. Create a reengagement email that reintroduces yourself and your brand. Let them know that you love having them on your email list and that you don’t want them to leave. Give them a simple task they can follow to stay. Maybe you want them to interact by responding to a question or clicking a link to check out your website. Whatever that task is, make sure they know exactly how to stay on your list. At the end of your email, you should give them a deadline to do this task by. After the deadline has passed, it’s time to let go of those followers. Even if this is a massive chunk of your email list, let them go. If they weren’t active with your list, they have only brought down your open rates. Yes, it would be lovely to have a big list, but you want a big list of active subscribers. Creating a healthy list doesn’t have to be difficult. It only takes planning, consistency, and a little gumption to make the necessary decisions and cut down your email list when appropriate. We hope that this post has helped you create an email list filled with engaged buyers who open your emails and interact with your brand.